PHOTO BY HANNAH HORTON. 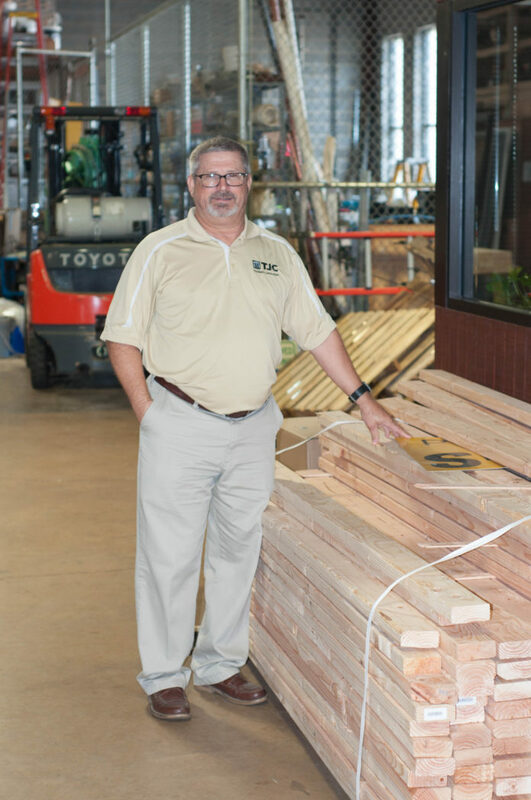 Mark Gartman poses with material that Facilities and Construction will use to make benches. Many students forget that school exists during the summer, but the Facilities and Construction staff’s work on campus never ends. Over the summer, they have been working relentlessly to ensure that TJC will be in top-notch condition for the school year. According to Mark Gartman, Director of Facilities and Construction, this summer has been especially busy. “This was probably, in my eight years, one of the busiest summers we’ve had here at Facilities,” he remarked. Gartman said that Facilities and Construction’s biggest projects over the summer included replacing the air handler units in Jenkins Hall and Vaughn Conservatory, creating a gathering area on the third floor of the Robert M. Rogers Nursing and Health Sciences Center, and working to complete the Culinary Arts building, which will open in January. Gartman also mentioned several smaller projects that were completed over the summer, such as painting the exterior of Potter Hall and the interior of Jenkins Hall, power-washing bricks, and replacing floors in residential halls. The Facilities and Construction workers have also been at work building benches and outdoor furniture for the campus. “We built a bench out here [in Baldwin Facilities and Construction], and somebody saw it and decided that they liked it. So, they told somebody else,” explained Gartman. Eventually, Dr. Linda Gary, Dean of the School of Humanities, Communications, and Fine Arts, requested 12 of the benches for Jenkins Hall.